Smartwatches allow you to stay connected with others (receive texts, emails, social media notifications, make and answer calls), track your fitness progress, and of course tell you date and time. So if you like to enjoy the benefits mentioned above, and looking for the best smartwatch, the list below will simplify your search. Fitbit Blaze is built to track your workouts, monitor your performance stats, and gauge your progress. 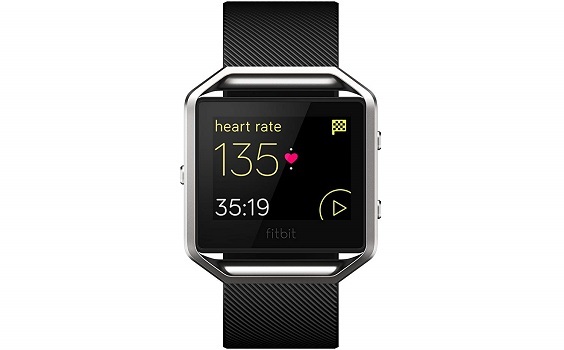 And interchangeable band and frames and customizable clock faces on the hi-res color touchscreen let you personalize your style for every occasion. • No third party notification support. • Stay connected with call, text & calendar alerts and notifications from your favorite apps like Gmail, Facebook and more (when phone is nearby). 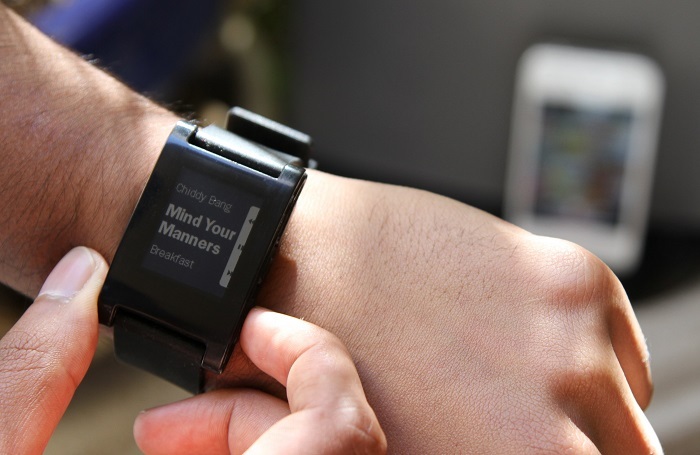 Pebble Smartwatch connects to your iOS or Android smartphone via Bluetooth so you get the information you need exactly when you need it. 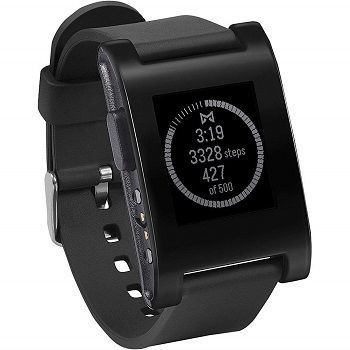 It displays email, SMS, Caller ID and other notifications from your favorite apps right on your wrist. • Durable & elegant design (waterproof). • Greater iOS app compatibility than Android. 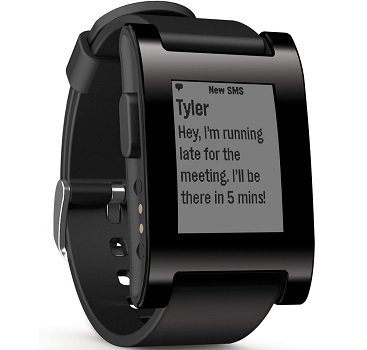 • View notifications from email, SMS, Caller ID, calendar and your favorite apps on your wrist. • Download watch faces and apps to suit your style and interests. • Control music playing on iTunes, Spotify, Pandora and more. • The charging cable's contacts are spring loaded pins. Depress each of them and make sure that they are popping back smoothly up to the same height relative to each other. 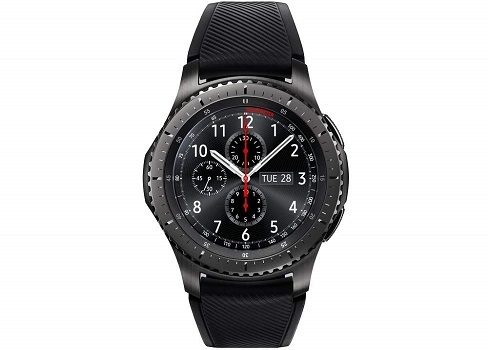 Samsung Gear S3 Frontier allows you to receive texts, emails, make and answer calls without reaching for your phone while the built-in S Health app, track your steps, monitor your heart rate, and more. • OLED display is bright and crisp. • Cool interface with rotating bezel. • Not many good Tizen apps. • Not enough third-party app support. • For some people. automatic exercise tracking can be weird. • Make payments with Samsung Pay almost anywhere you swipe or tap a credit card. • Compatible with Android and iOS smartphones (compatible with select Bluetooth capable smartphones using Android OS 4.4 and later with at least 1.5GB RAM as well as iPhone 5 and later with iOS 9.0 and above. Gear S3 supported smartphones may vary by carrier and device. 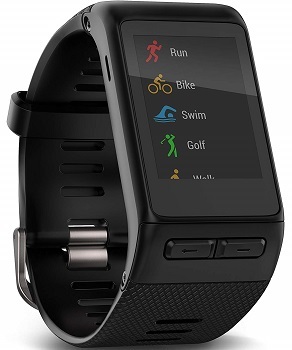 Garmin Vívoactive HR allows you to play all the sports you love with even more heart. 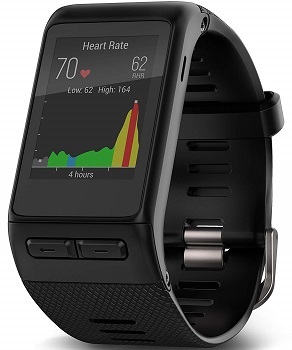 It offers an 8 day battery life in watch mode, as well as being water resistant. • Easy to read display. • Flawless integration of desktop, web, and phone applications. • App has a learning curve. • Notifications will also be emailed whether you want it to or not. 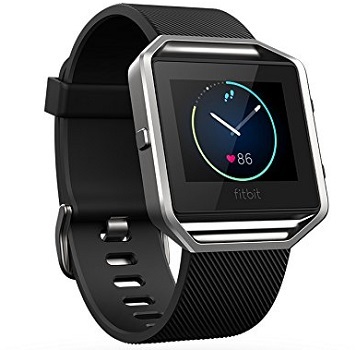 • Regular fits wrist circumferences 5.39" to 7.68" (137 to 195 mm), GPS smartwatch with a sunlight-readable, high-resolution color touchscreen. • Display size-28.6 mm x 20.7 mm. 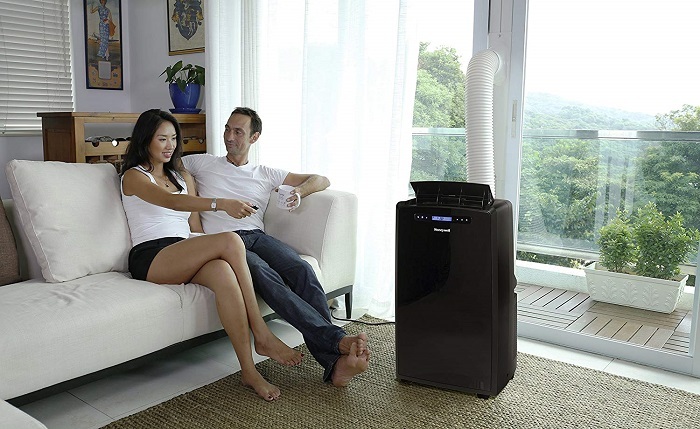 • SMART NOTIFICATIONS - Set any notification from your mobile device to display when paired with a compatible smartphone. Mobvoi TicWatch S2 is powered by TicMotion, Mobvoi’s suite of AI algorithms to proactively detect your motion, track your swim activities, and provide your fitness records, all click-free. • Swim and surf proof. • Nice, punchy AMOLED screen. • Not Fully Compatible for iOS. • DURABLE: US military standard 810G certified makes it resistant to extreme temperatures, shock, water, and dust. 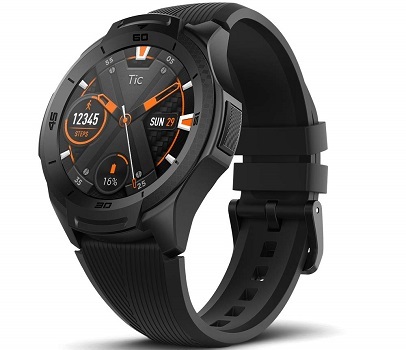 • OUTDOOR READY: Built-in multi-navigation system (GPS/Glonass/Beidou/Galileo), 6 smart sports modes, up to 2 days of battery, and glass fiber and non-slip button designs prepare you for the great outdoors while your watch remains connected, easy to operate, and comfortable. • WATERPROOF: 5 ATM rating allows you to safely take your smartwatch 50 meters underwater. • WEAR OS BY GOOGLE: Google Play allows you to choose from a wide range of your favorite apps and to access them from your wrist, compatible with iPhone and Android, Google Assistant built-in. • CUSTOMIZABLE: Easily personalize your watch by changing the watch face and switching out the straps.